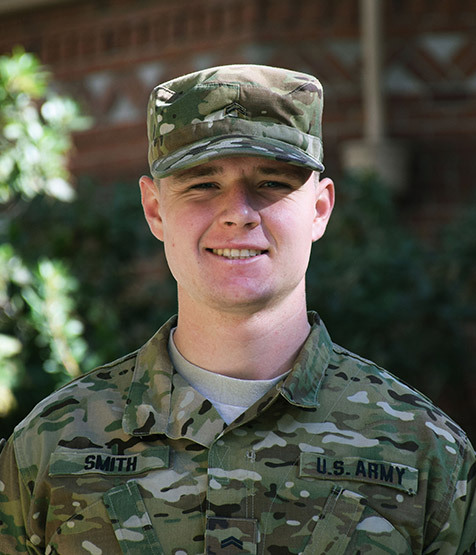 As an ROTC cadet, I am looking for coursework that equips me to excel in the future as an Army officer. My degree in International Relations prepares me to understand and affect the highest levels of policymaking, but I wanted to round that broad knowledge out with a more technical skill-set. This addition to my degree needed to fit the constraints of my schedule, which is a balance between coursework and military training. I also knew about Geographic Information Systems (GIS) and their increasing set of applications to a variety of problems. Experience with this technology, I knew, would be especially valuable in the intelligence community. The Human Security and Geospatial Intelligence minor is the perfect way for cadets and midshipmen, IR majors, or anyone interested in working for the Department of Defense or Department of Homeland Security to supplement their degrees with relevant technical skills. The course plan is flexible and courses for the minor overlap with several courses which IR majors and cadets already take. The skills HSGI students develop are increasingly in demand for many national security positions, making the minor well worth it. I am confident the HSGI program will benefit any student interested in national security.